Cowichan Recyclists doing the rounds in downtown Duncan, near Duncan City Hall and Belongings. 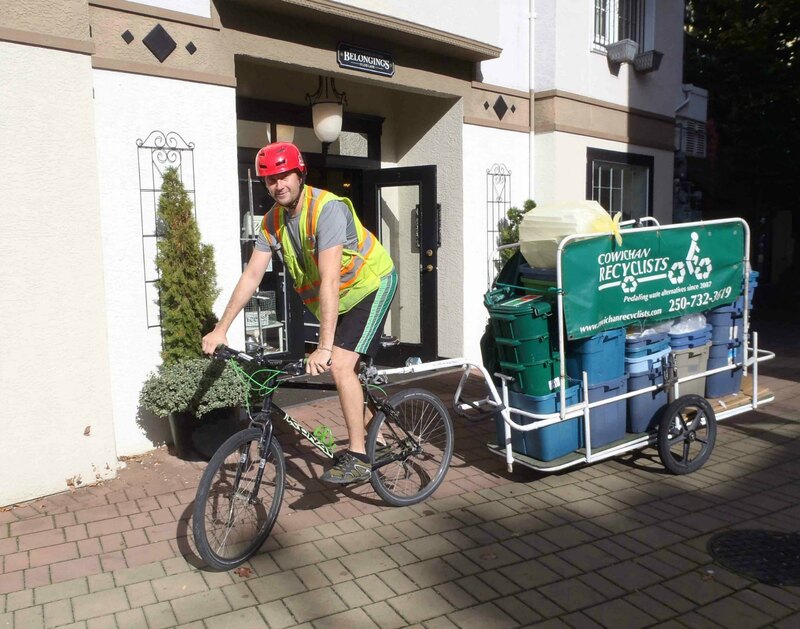 Cowichan Recyclists was started in 2007 by local residents Aaron Bichard and Katie Harris, as a service to pick up recyclable materials from local businesses without using exhaust emitting trucks. Cowichan Recyclists use a bike trailer designed by Duncan resident Tony Hoar, of Tony’s Trailers.